Thundercats Ho! We made Lion-O back in 2010, and only about 50 of them were produced. They were mainly sold at the Brickworld event in Chicago. 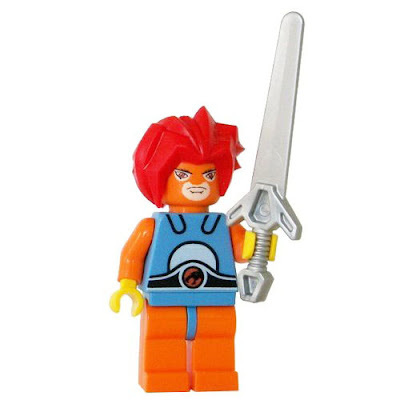 Our artist Myron did a great job on his all original art and that LEGO Brand sword worked perfectly. We dont currently have any plans on making more, but you never know. Do any of our fans reading this have one?